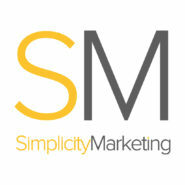 Simplicity Marketing is a marketing agency based in Dunfermline, Fife. Our aim is simple; to provide a professional & affordable integrated marketing service as an extended part of your team whenever you need it. We specialise in marketing campaigns, graphic design and website design services. We know a lot of SME's can't afford to hire a full-time marketing professional and sometimes you just need some extra support. We offer a completely flexible range of services so we can help boost your marketing while you focus on running your business..